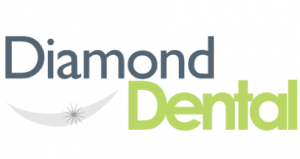 At Diamond Dental dentist Wantirna, we have a fabulous team of Australian trained dentists and support staff. Modern equipment is used throughout the dental clinic which results in high-quality dentistry with the added bonus of less chair time for our patients. As long-standing members of the Australian Dental Association (ADA) we abide by all ADA guidelines. Our gentle nature will ensure you feel relaxed and at ease during your treatment and care. Situated in the peaceful surrounds of Wantirna South, near Knox City Shopping Centre and adjacent to the Eastlink Freeway in a newly refurbished dental facility. Our dental clinic is the corner of Renou Road and Burwood Hwy – just up from the Knox School. Offering HICAPS claiming for all patients with private health insurance. Please see our health insurance page for all affiliated health funds and FAQ’s.